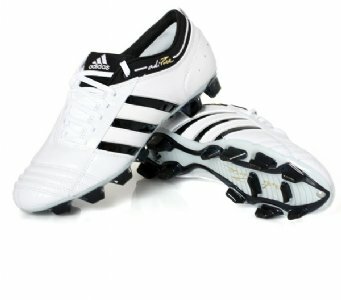 The Adidas AdiPure III Boots in TRX FG are worn by a host of top footballers such as Kaka and Frank Lampard. In the new Black/White/Metallic Gold colourway, the Adidas AdiPure III boots offer traditional styling with modern colouring. 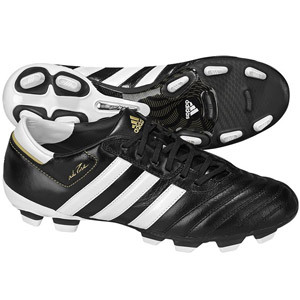 Made with a super soft k-leather football boot upper, and a low profile tongue, the Adidas AdiPure boots provide Touch as a key element for playmakers and strikers alike. Instep of the boots features a padded area increasing the ability to stop a ball with one touch. As well as this, the TRX FG sole is designed to allow for easy changes of direction without compromising grip on firm surfaces.